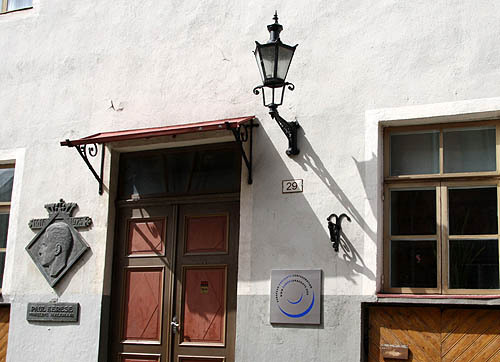 The headquarters of the European Draughts Confederation are located at Paul Keres Chess House in Tallinn, Vene street 29. The headquarters were opened with a festive ceremony on April 23rd, 2009. 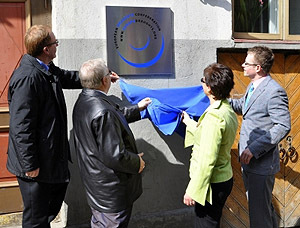 The cover from the plaque with the EDC logo on the façade of Tallinn House of Chess, which has become a centre for mind sports for Tallinn and Estonia, was removed by Estonian Minister of Culture Laine Jänes, the mayor of Tallinn Edgar Savisaar, the Secretary-General of the Estonian Olympic Committee Toomas Tõnise and head of Tallinn Youth and Sports Department Rein Ilves. This location – Vene street 29 – is mentioned for the first time in Tallinn´s documents already in 1362, but there is no information about the building. The building itself is first mentioned in a document that dates back to the year 1405. More detailed information about the architecture of the building gives a testament from the year 1727. The building has had owners from different nationalities, including French and Scottish. During the renovation in 1968, the building was changed into a chess school. There were rooms for classes, board and trainers and a separate room for library. New renovation started in 1973; in 1975 it was decided to be named Paul Keres Chess House that was opened on the 21st of November. Chess House bought a library with 3000 books from Dombrovski, who was a collector of chess literature. Later, Paul Keres´s library with 2000 books was added to the collection. The museum room of Paul Keres was opened in 2004. 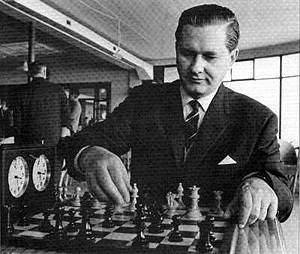 Paul Keres (January 7, 1916 – June 5, 1975), was an Estonian chess grandmaster, who Keres narrowly missed a chance at a World Chess Championship match on five occasions. He won the 1938 AVRO tournament, which led to negotiations for a World Championship match against Alexander Alekhine, but the match never took place due to World War II. Then after the war he was runner-up in the Candidates’ Tournament on four consecutive occasions. Due to these and other strong results, many commentators consider Keres to be the strongest player never to become World Chess Champion. He was nicknamed “The Crown Prince of Chess”.